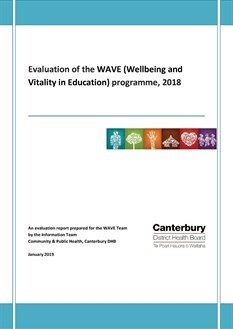 WAVE stands for "Well-being and Vitality in Education". The wording of the name illustrates the link between health and education. This web site features an online reservation system for resources available to education settings participating in WAVE. Check out the latest Evaluation Report on WAVE here. Check out this video on how WAVE has helped and supported Rural Scholars ELC in their work with tamariki. It's great to see the awesome work you're doing shared with an international audience through the Health Promotion International Journal!